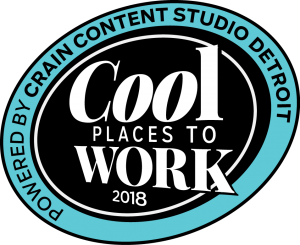 New Eagle has been awarded one of Crain’s Detroit 2018 Cool Places to Work! The award recognizes employers that take extra steps to make employees feel appreciated, as determined in-part by the benefits and perks offered by the company, and by the sentiment of the employees themselves. With a strong, supportive leadership team and a culture rooted in values that put people first, we’re thrilled that New Eagle has been recognized as a leader among Michigan businesses. New Eagle offers a variety of employment opportunities, ranging from business and supply chain to software and systems engineering. We are proud of our crew that, despite different roles, still manages to work together as an optimistic and united team. As a company, we firmly believe it’s our people that let us soar like eagles. 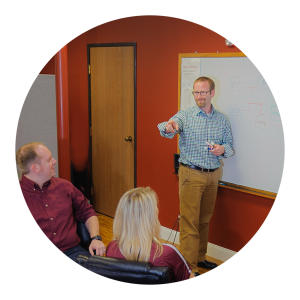 We’re always looking for bright-and-brainy team players to join our award-winning business. If you’re interested, check out our open positions to see if there’s one for you. New Eagle has earned one of Crain Detroit’s Cool Places to Work awards! What Does It Means to be a Production ECU Supplier? "Those who hope in the LORD will renew their strength. They will soar on wings like eagles. They will run and not grow weary, they will walk and not be faint." Isaiah 40:31 Copyright © 2017 All Rights Reserved.